You will need to have a PayPal to cash out your earnings in the platform and this article will show you how to add your PayPal email to your account. 1. Once logged into your account, navigate to your Finances dropdown under your Avatar at the top. 2. From your Finance Dashboard click on the Settings sub-tab. 3. Scroll to the bottom and click on Add PayPal Email. 4. 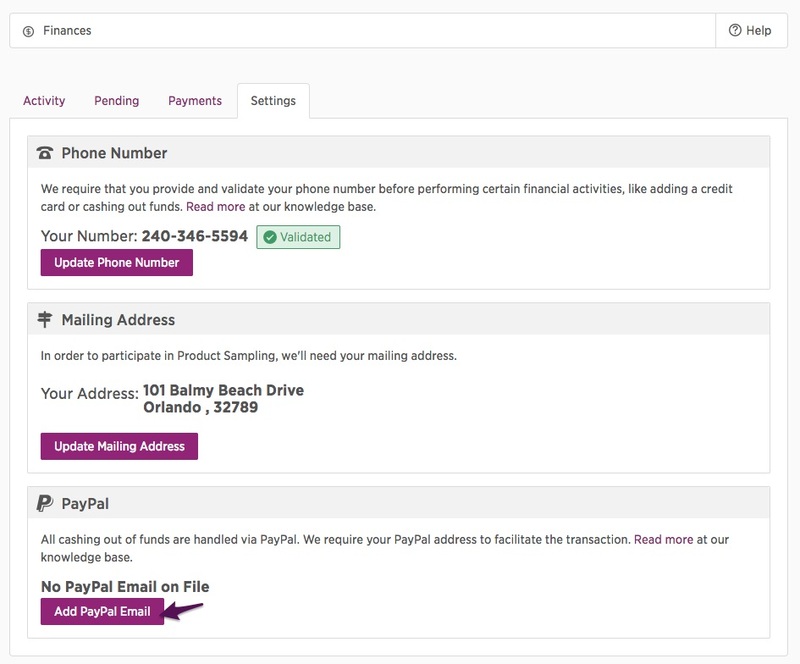 A pop up will appear where you may now enter your PayPal email. Hit Submit. 5. Your PayPal has now been successfully added to your account.